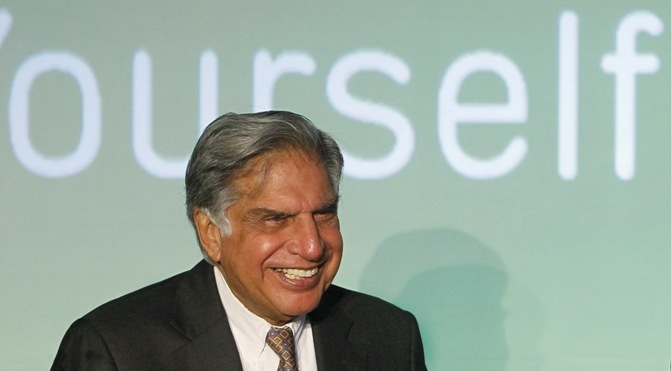 Ratan Tata has said he felt confused and humiliated during his first few weeks as a student at the elite Harvard University but those initial days turned out to be the ‘most important weeks’ of his life. Tata recalled his first weeks on the Harvard campus as he attended a dedication ceremony of Tata Hall at Harvard Business School in Boston earlier this week. Named in the honour of the iconic Indian industrialist, Tata Hall is a seven-story, glass-and-limestone 163,000 square foot building, which will include residential and learning space for the HBS's executive education programme. Tata was joined by HBS's India-born dean Nitin Nohria and Harvard University President Drew Faust for the dedication ceremony during which he recounted that his first weeks on the Harvard campus were ‘confusing’ and he felt ‘humiliated’ by the impressive and overwhelming calibre of his fellow students, according to a report in the Harvard Gazette. 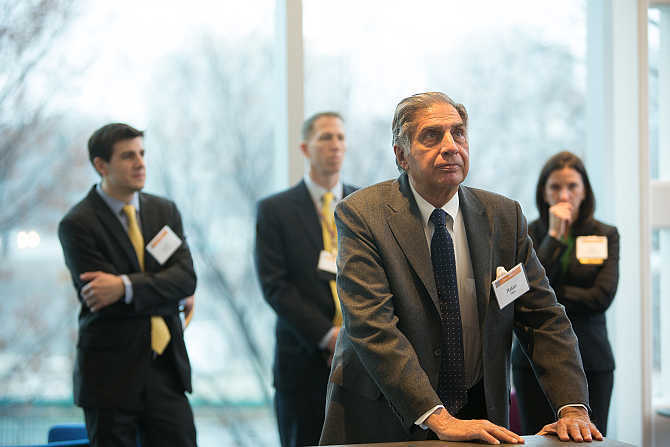 Image: Ratan Tata at Tata Hall at Harvard Business School in Boston. "It was the only time in my life where I sat and crossed out day by day how many days were left before I could return to the normal world," Tata said. "But what it did do for me, as I soon found out, the confusion sort of disappeared, and you understood the magnitude of what you had learned in a manner that I believe is not possible to do in places other than at this business School," he said. "As I look back, those 13 weeks were probably the most important 13 weeks of my life. They transformed me and my perspective," the former Chairman of Tata Sons said. The business tycoon said, "Harvard Business School is the pre-eminent place to be exposed to the world's best thinking on management and leadership, and we are pleased that this gift will support the School's educational mission to mould the next generation of global business leaders". Image: An exterior view of Tata Hall at Harvard University in Boston. Tata, a 1975 graduate of the advanced management programme at HBS and himself an architect, had presented the design firm behind Tata Hall with two design challenges of making the building warm and welcoming to visitors and as open and transparent as possible. "Can the building touch the ground lightly?" architect William Rawn recalled of Tata's charge, to explain the walls of glass. 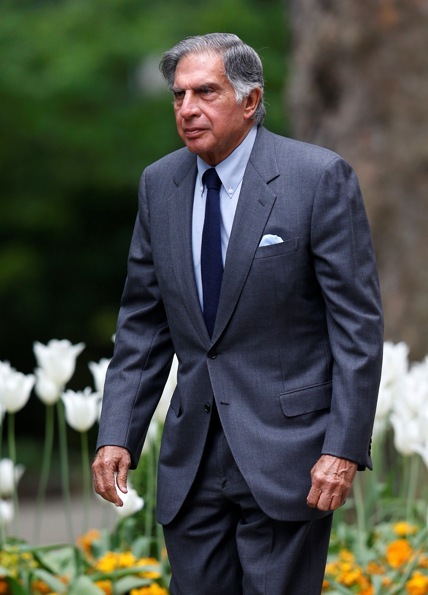 Tata Companies, the Sir Dorabji Tata Trust, and the Tata Education and Development Trust, which are philanthropic arms of the Tata Group, had donated $50 million to the HBS in 2010. The building has been funded through gifts from the trusts. 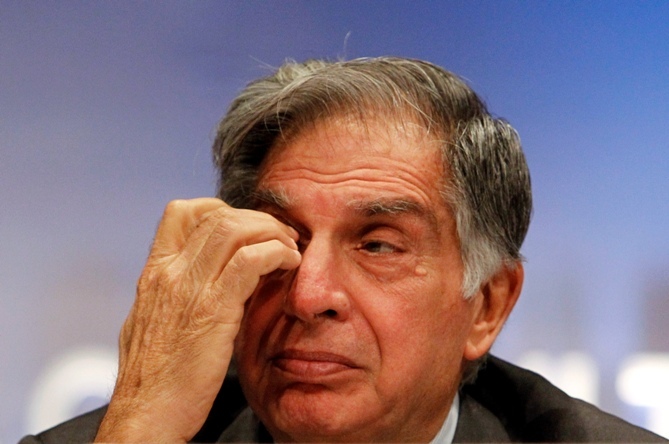 Image: Ratan Tata wipes his eye during an annual general meeting of Tata Consultancy Services in Mumbai. Construction of the building began in December, 2011, and it will have 179 bedrooms, two 99-seat classrooms, three gathering spaces and conference rooms for the more than 9,000 students who participate in the prestigious Business School's executive education programme each year. Among the building's green features are a low-flow plumbing system and a solar array used to generate air conditioning power. The hall is expected to receive the US Green Building Council's LEED Platinum certification, its highest rating. Nohria called Tata Hall ‘a gift that will transform our campus for decades to come,’ one that represents ‘a significant moment in the evolution of our business School’. "Although our School has welcomed international students since its very first class in 1908, Tata Hall represents by far the most significant gift made by an international alum," he said. "As such, it signifies our institution's status as a truly global institution. We look forward to welcoming remarkable leaders and contributing to their ability to make a profound difference in the world," Nohria said. 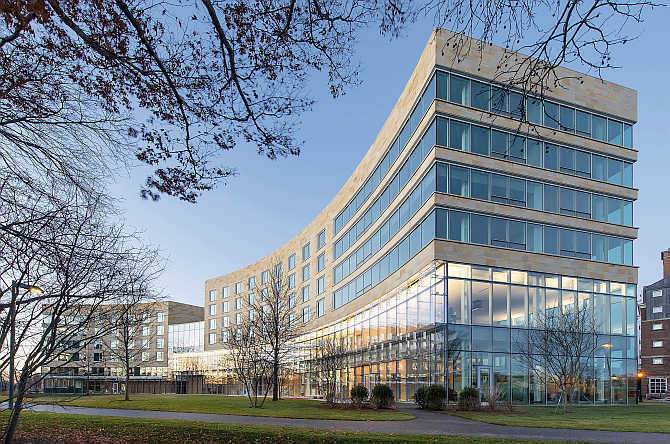 A report in the Harvard Crimson quoted Former Business School Dean Jay Light as saying that the "best thing about the building is the name". Former president of the University Board of Overseers C Dixon Spangler said when he was student at Harvard 60 years ago, there were no women in his classroom and nor were there any Indians. "Now the president of Harvard is a woman, and the dean of the business school was born in India. So Harvard too has changed and changed very much for the better," Spangler said.